I’m pretty sure that this is an oak tree. 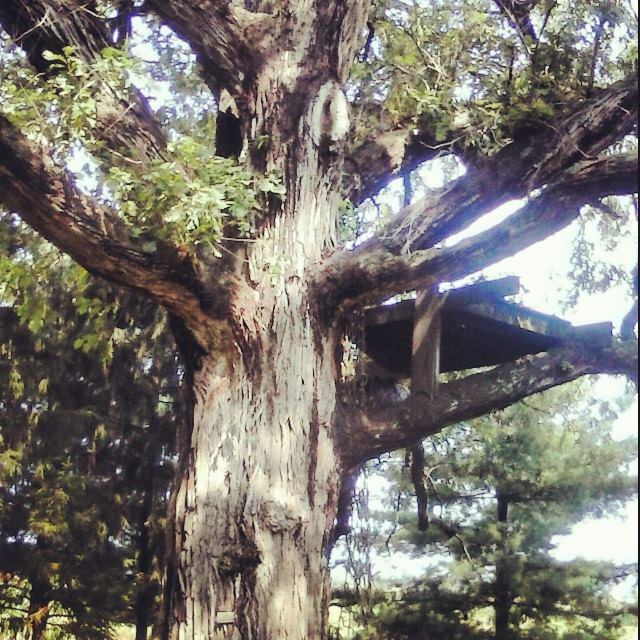 I think it’s a white oak. It’s huge and really old. I can’t even fit the whole tree in this picture. My camera isn’t big enough. There are remnants of a tree house. It has this plaque on it. 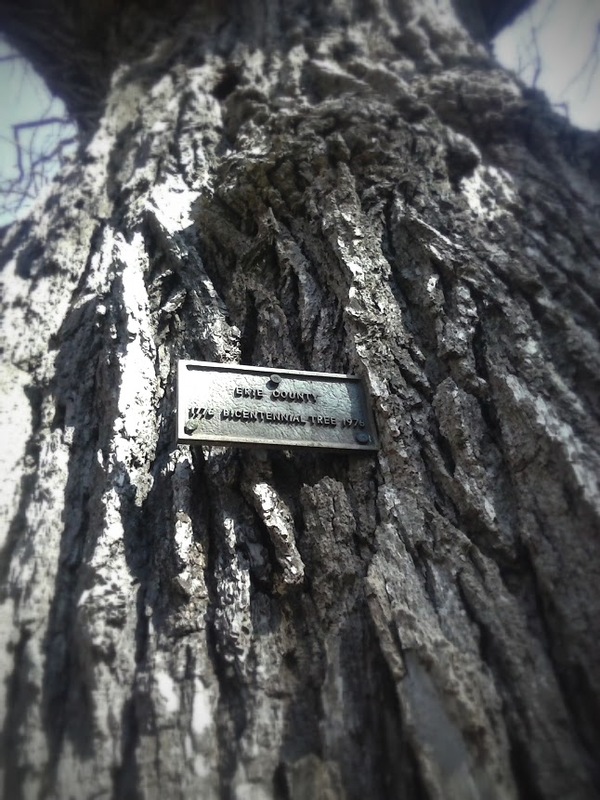 Erie County Bicentennial Tree 1776-1976. The bicentennial of the United States, not Ohio. That’s pretty cool. So does that mean that the tree is years old? I think so. If anyone knows what it really means, let me know. I’d love to know.